Living just over the bridge from Copenhagen, I'm often asked 'how often do you visit?' The answer is "not enough". Seriously, this is a crying shame - I absolutely love the Danish style. 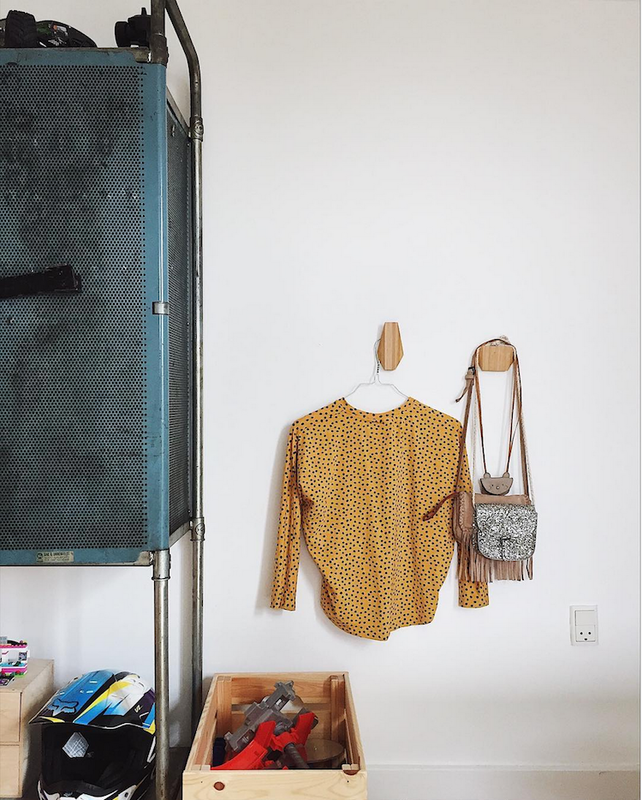 There's something relaxed, bohemian and achingly cool about it. It's also a quietly confident look which relishes in imperfection. 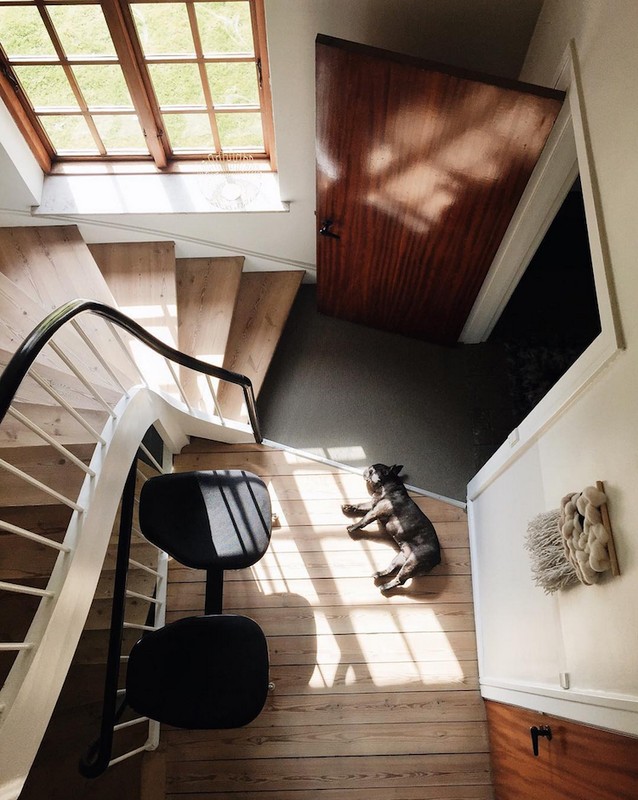 Take the Danish home of Anne Hundborg - a self-employed web developer and graphic designer, her boyfriend Jonas, five children (combined), a dog and a cat (yes that's one "full house," laughs Anne) as an example. 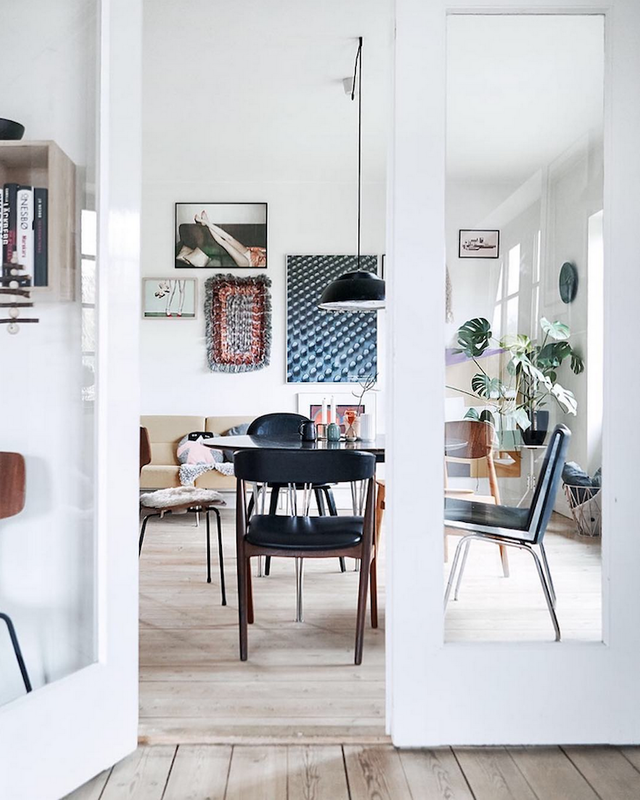 Located in the city of Randers on the Jutland peninsula, Anne has decorated her home under the ethos "the rules are there ain't no rules" (....ha! I recognise that line - do you?!) 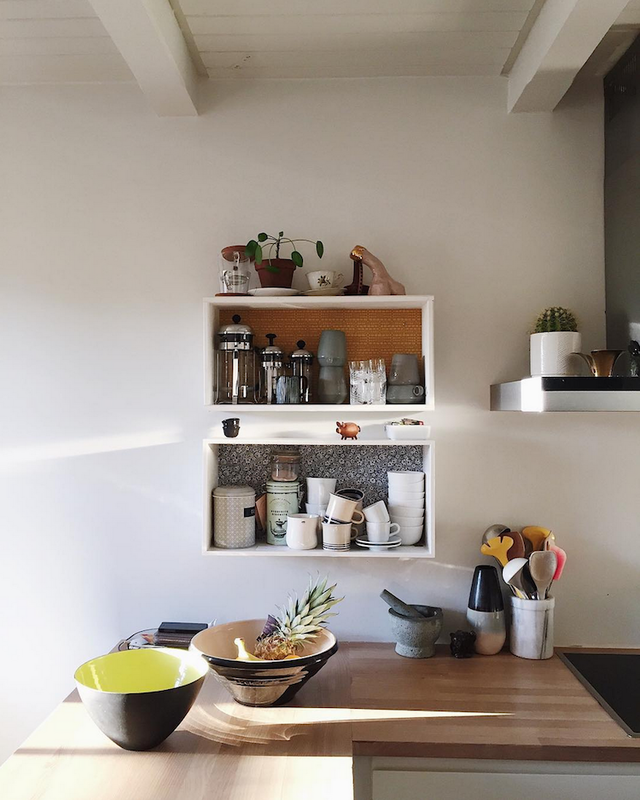 and chooses to "mix all sorts of textures, materials, colours, and decades." 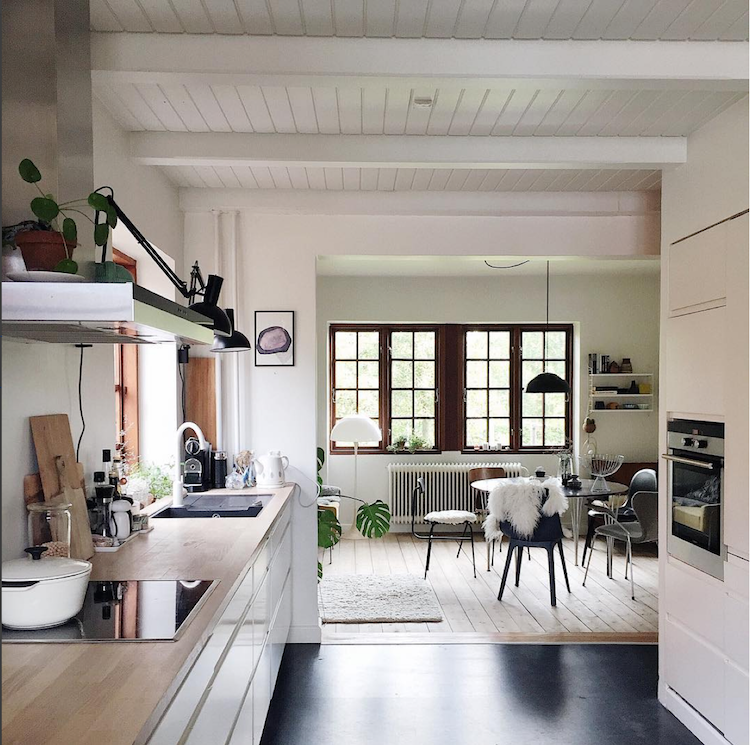 Look out for mid-century touches and wonderful, playful details throughout! What a charming home?! I love all the mid-century touches and artwork in particular - how about you? 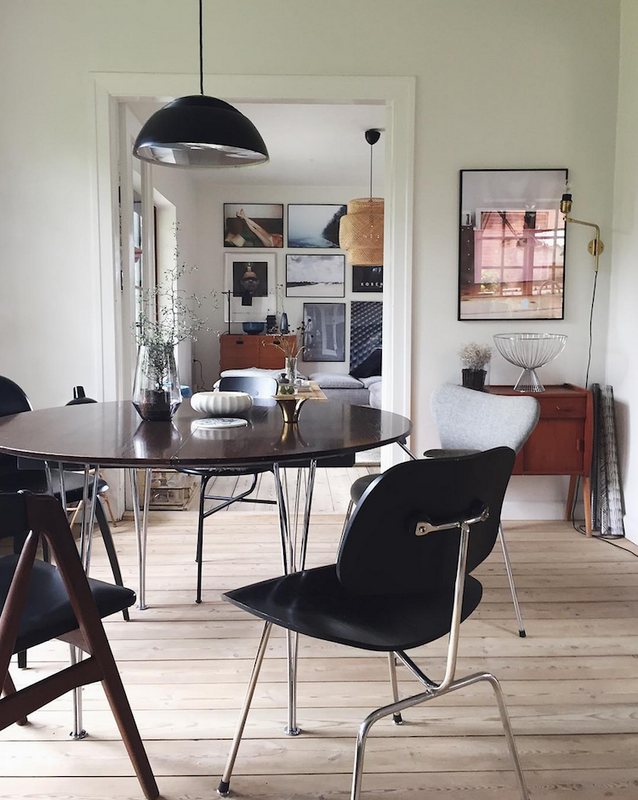 Get the look: dining room - Panthella floor lamp, Posters / prints: Bambi and Heels and Resting Feet by Paper Collective. sitting room - Söderhamn sofa, landscape prints by Enklamide, SINNERLIG Pendant lamp . 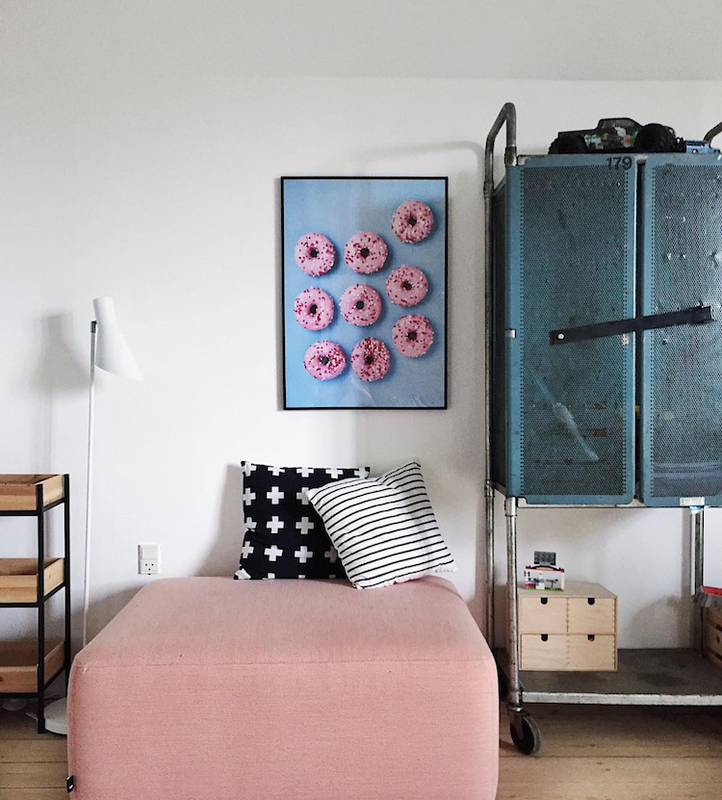 Children's bedroom - Doughnuts poster from Desenio. 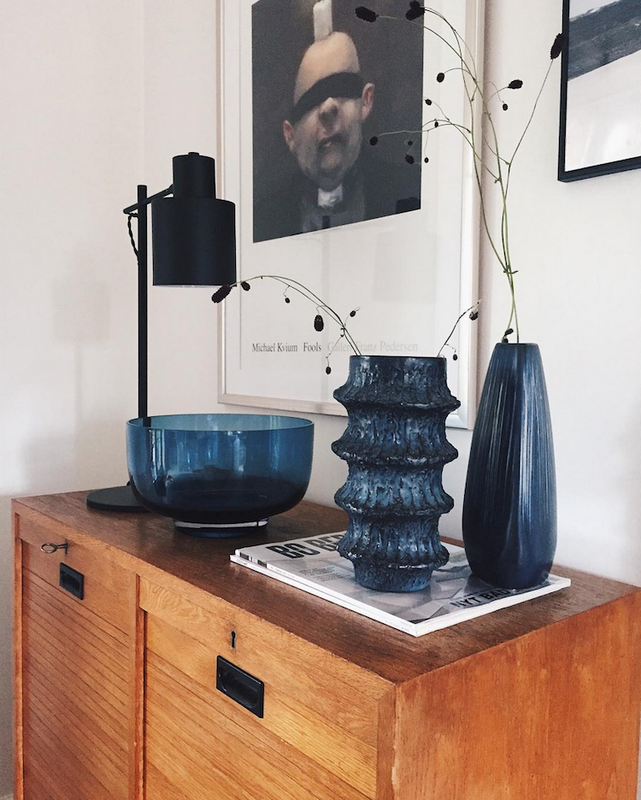 You can see more of Anne's lovely home over on her Instagram feed here (many items are tagged too), and a whole load more of 'great dane' (sorry) inspiration in this archive (don't miss a Danish home full of vintage finds, the dreamy home of a writer, an eclectic Copenhagen apartment with attitude in particular - all very different, all truly inspiring!). 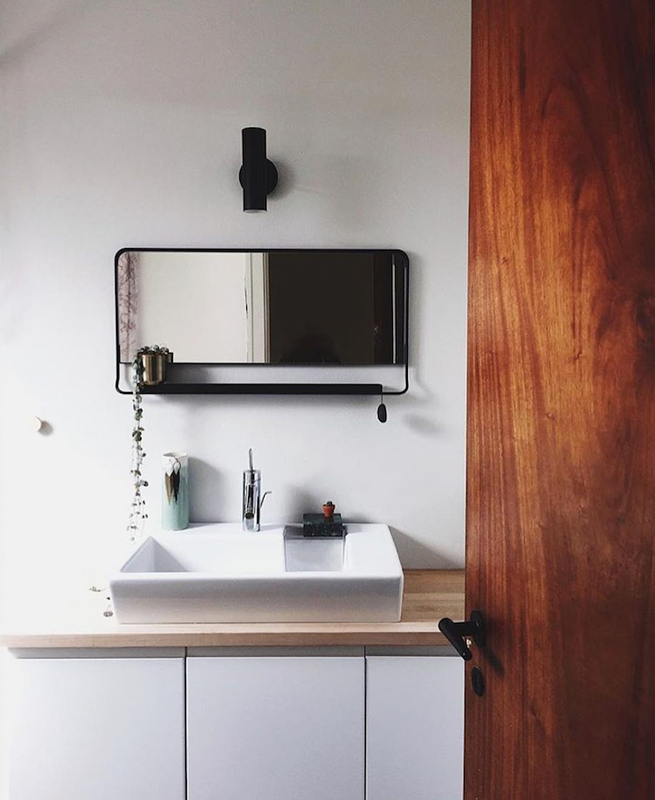 What a beautiful, calm and restful space! 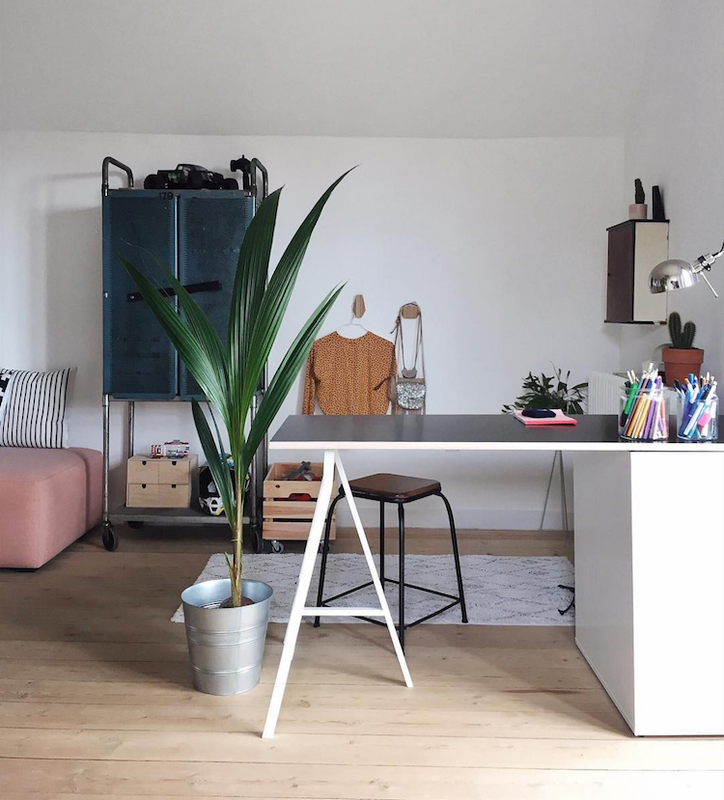 Kudos for creating a haven of peace when it must be pretty frenetic as a household with 5 kids and the pets! Very stylish. 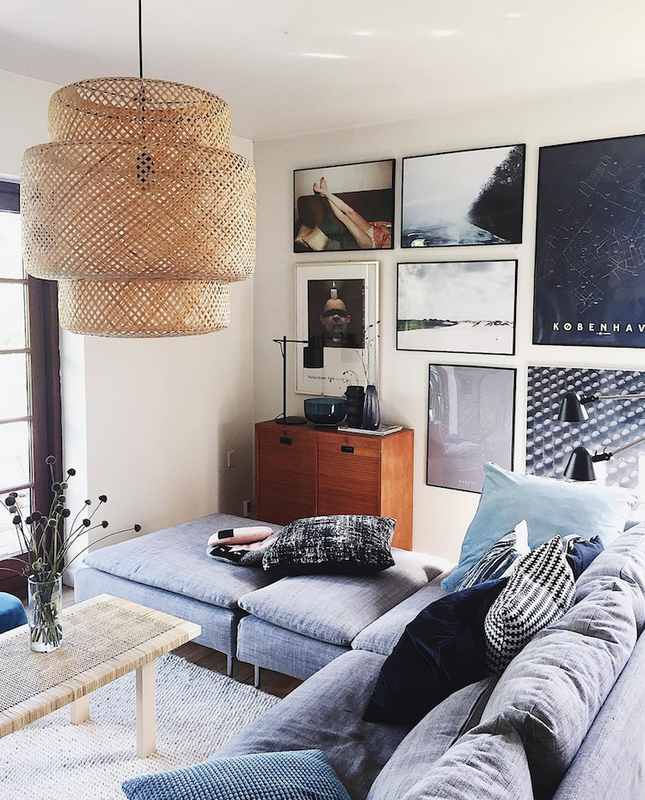 I particularly love the use of blue as an accent colour - and is the pouffe from Sostrene Grene? Looks like a marshmallow... love it! Just lovely! Your style is my my new aspiration. Thanks for sharing! What a great display wall! 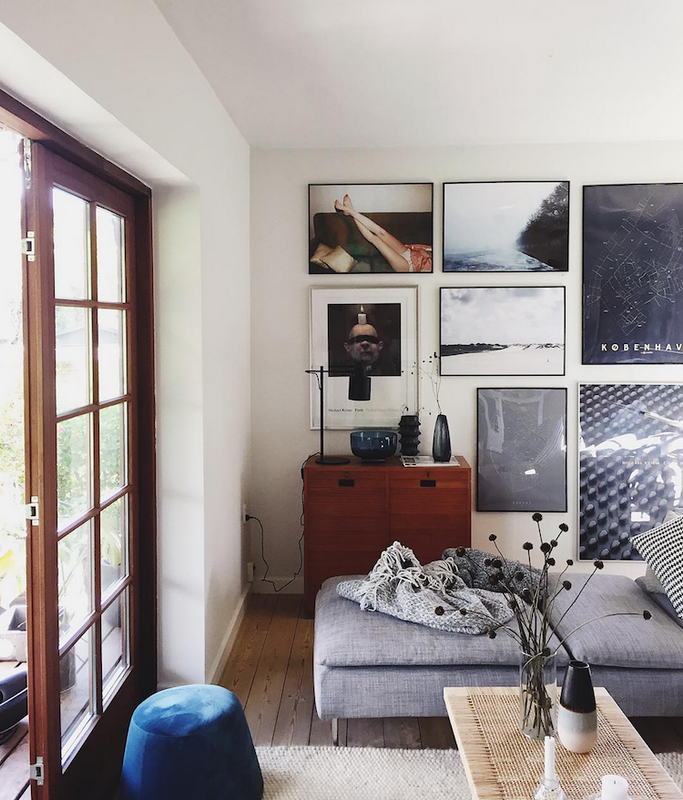 That space with the light blue sofa looks incredibly cozy.